Y The Last Man meets Passengers in this generation-spanning space story. Do you want to see what's next for the Ash the Last Scout and Dot the only orphan? Do you want to meet AI Luna? 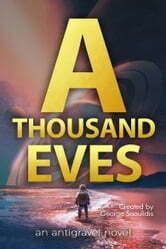 Then read this multifaceted space story that challenges the very foundations of humanity.